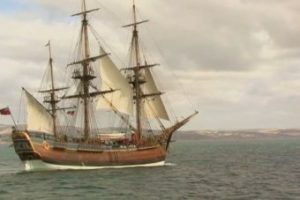 Marine archaeologists believe they have finally found Captain Cook’s Endeavour off the coast of Rhode Island New York. But how did it get there? In 1775, five years after Cook’s famous voyage to Australia, the ship was used to transport British troops during the American War of Independence. It was scuttled in 1778, not to be seen again.